A huge swath of the United States lies ­within the “salt belt,” which is the states that use large amounts of salt during the winter to control snow and ice on roadways. These states primarily are located in the Northeast, Mid-Atlantic and Midwest portions of the country. For decades, sodium chloride rock salt has been the gold standard for treating roads. Road authorities under­stand that salt speeds corrosion and therefore sig­nif­icantly affects the trucking industry, but safety benefits generally outweigh corrosion consideration. “Striking that balance is a challenge we face every year,” said Matt Bruning, press secretary for the Ohio Department of Transportation. “If we don’t use enough [salt], we have large numbers of crashes. If we use too much, it’s wasteful,” and exacerbates vehicle corrosion. Over the past 15 years, more states have adopted brine solution road pre-treatments due to effectiveness and lower costs. Like salt, brines activate when wet, but they more easily absorb moisture to become liquid ice melting solutions. They stick to surfaces better than rock salt, meaning they stick to — and corrode — trucks at a higher rate. 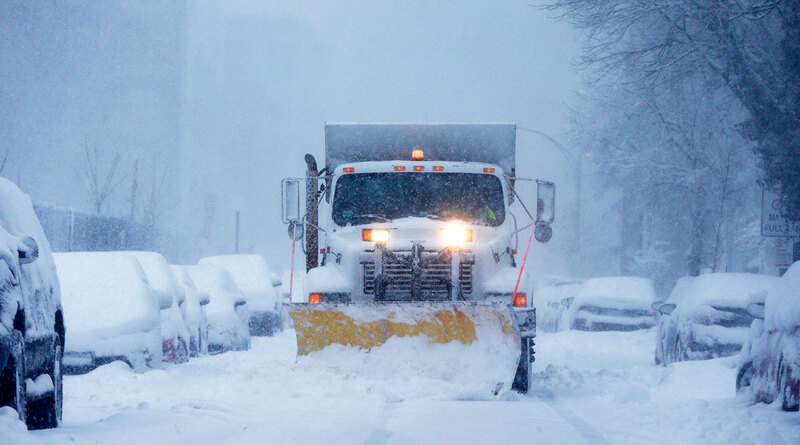 Liquid solutions’ stickiness and effectiveness now prompts more transportation authorities to pre-wet solid salt before spreading it, which can cut salt consumption by up to 30%, according to Clear Roads, a winter maintenance material research consortium. Many salt belt states have tweaked their sodium-based road treatment blends to boost effectiveness. Some add cal­cium chloride, but they more commonly use magnesium chloride because of its strong ice mitigation properties and low cost. But magnesium solutions are more corrosive than sodium. In many cases, dried rock salt brushes off or easily ­washes off of trucks. But brines, especially those with magnesium chloride, require more thorough washes because of the stickiness and added corrosiveness. Some fleets use specialized truck-washing liquids. “Some corrosion mitigation wash systems pay for themselves,” said Dennis Winn, ­Accuride Corp. director of technology and business development. States including Montana require corrosion inhibitors in road salt solutions, although trucking industry experts report mixed results. Many DOTs stopped adding corrosion inhibitors because they didn’t see any impact, Winn said. Transportation authorities — including in Illinois, Minnesota, New Hampshire and Wisconsin — have investigated more natural, environmentally friendly road salt alternatives. “In Wisconsin, when they make cheese, the brine left over is really salty… and they put it on the road,” said Tim Brune, Automotive International technical director. Several states, such as Ohio, use a beet juice mixture in a few areas “to battle ice in extremely cold temperatures,” Bruning said. But the natural solutions come with their own challenges. While states experiment and innovate with ice mitigation, fleets should remain aware of the primary mixes used in the areas where they most frequently operate to identify the best corrosion prevention. Frequent inspections and washing remain the preferred methods in all cases.